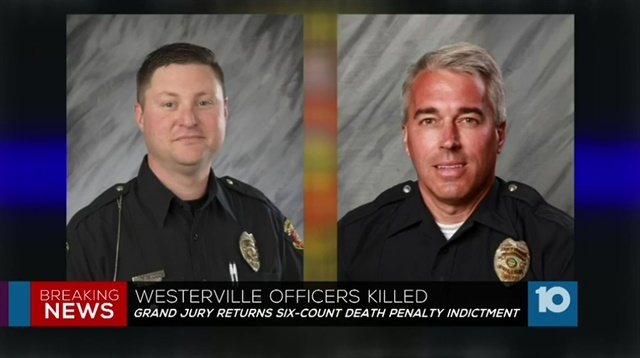 The man accused of fatally shooting two Westerville, OH, police officers responding to a hang-up 911 call was indicted Friday on charges that carry the possibility of a death sentence, reports 10tv.com. Franklin County Prosecutor Ron O'Brien says a grand jury has returned a six-count death penalty indictment against Quentin Lamar Smith for the aggravated murders of Officers Anthony Morelli and Eric Joering. The case is eligible for the death penalty because police officers were killed in the line of duty and also because more than one person was killed. Investigators said Smith fired on the officers as they entered his townhouse on Feb. 10. Smith was shot and wounded and hospitalized for several days. The Fraternal Order of Police said a death sentence is the only acceptable outcome. Arraignment for the death penalty case is set for Wednesday, March 28.